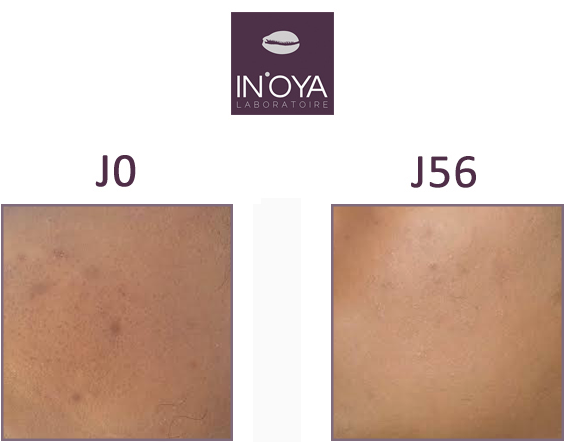 These are recent pictures to show the evolution of my treatment with IN'OYA products, the quality is not great and I don't have the final results as I had to pause my treatment because of health issues, but still I wanted to testify about my satisfaction. 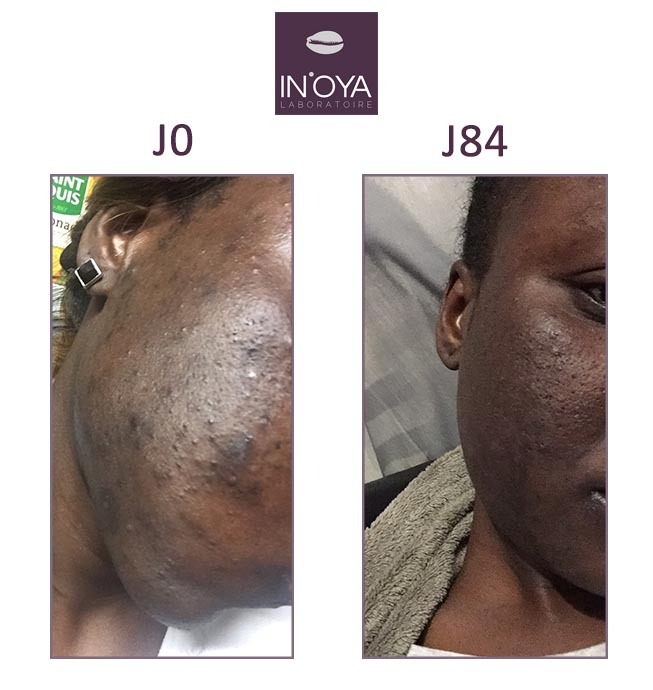 During this treatment, I noticed that the products smoothed my skin and that it also had a influence on my acne problems. 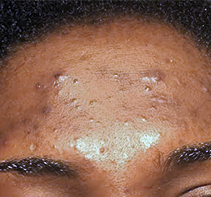 I am sure that with a more regular treatment, I can have even better results. The Foam Purifying Cleansing and the Gel Cleanser Exfoliating cleaned my face from impurities and gave it natural radiance. The Skin Care anti-imperfections, the Correcting Serum and the Corrector Unifying Matifying helped me fight acne problems but also mattified my skin and treated dark spots and scars, so I am satisfied of this treatment.